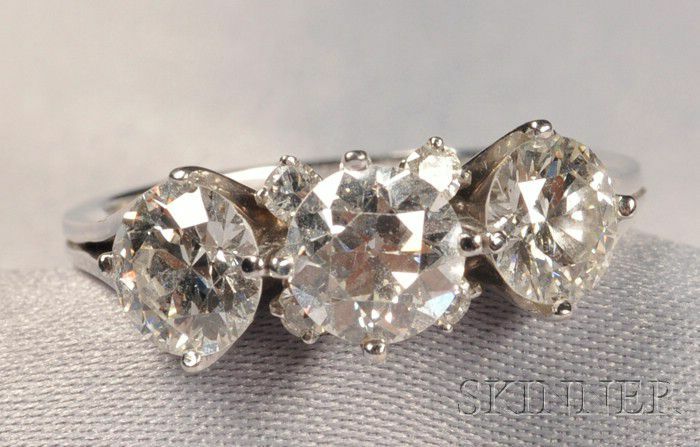 Diamond Three-stone Ring, prong-set with full-cut diamonds weighing approx. 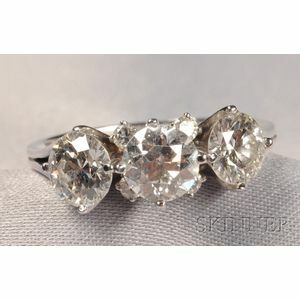 0.95 cts., 1.00 cts, and 1.00 cts., full and single-cut diamond melee accents, 18kt white gold mount, size 9 1/4. Mounting clean without evident problems.